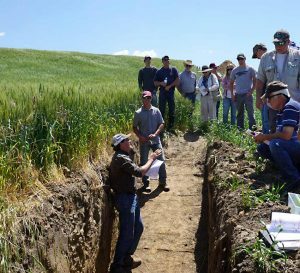 The Washington State Soil Health Committee has started an education and outreach program in San Juan County. The project aims to distribute, at no cost, surplus native bare-root trees that would otherwise be destroyed at the end of the nursery season. The trees will go to landowners in San Juan County who are doing shoreline restoration, wetland recovery, or native tree planting. So far, hundreds of bare-root native trees have been provided to three San Juan County farms: Smiling Dog Farm on Orcas Island, Horseshu Farm on San Juan Island, and Ken Davis’s farm on San Juan Island. 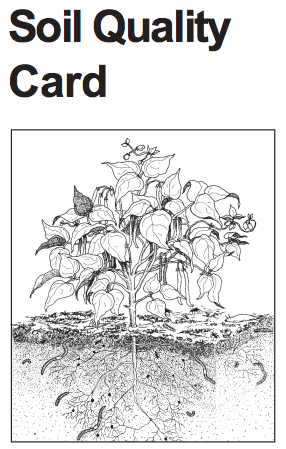 Download our flyer for more details on how to plant and care for your native tree. Trees are the longest-living organisms on Earth. Trees capture and store more energy than any other organisms on Earth. What will a native tree do? Provides fresh oxygen for you to breathe. One acre of forest absorbs 6 tons of carbon dioxide and exhales 4 tons of fresh oxygen (USDA), cleaning our air and combating climate change. Cleans air by removing small particulates, reducing symptoms of asthma and other respiratory diseases. Filters groundwater by root chemistry. Tree leaves and needles transpire, creating clean, tree-filtered water, cooling and cleansing the air. Shields other living creatures, including you, from solar heat, blocking ultraviolet rays that cause cancer. Aids in recharging groundwater supply by preventing rain runoff from surrounding soils. Produces aerosols from some trees, like willows, that fight cancer, while other trees produce antibiotic aerosols. Reduces depression and anxiety. Visual exposure to trees has produced recovery from stress in five minutes, as measured by blood pressure and muscle tension, according to research at Texas A & M University. What will your native tree do for your soil? Trees prevent soil erosion in the broad area of their rooting zone, providing sub-surface drainage for rain runoff and holding the soil in place. Trees prevent large-scale flooding, which washes topsoil away. Trees produce organic material that enriches the soil, such as leaves and decomposing branches. Trees fix nitrogen in the soil. Trees work symbiotically with the fungal mat that lies under the ground, giving soil structure, and supporting all terrestrial life in mysterious ways. What other benefits will the ecosystem receive? In San Juan County, planting trees on the shoreline produces humic acid which stimulates the growth of plankton in sea water, thereby enriching the food web in the Salish Sea. Trees provide habitat and food for birds and other animals. Your wildlife will love you, especially if you leave dead trees standing. Birds and other nesting creatures regard a dead snag as premium residential housing, as well as five-star dining on resident bugs. 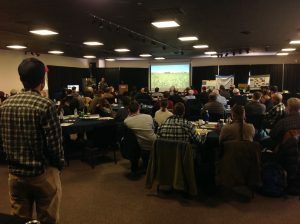 The Washington State Soil Health Committee has funded two grant projects featuring biochar. 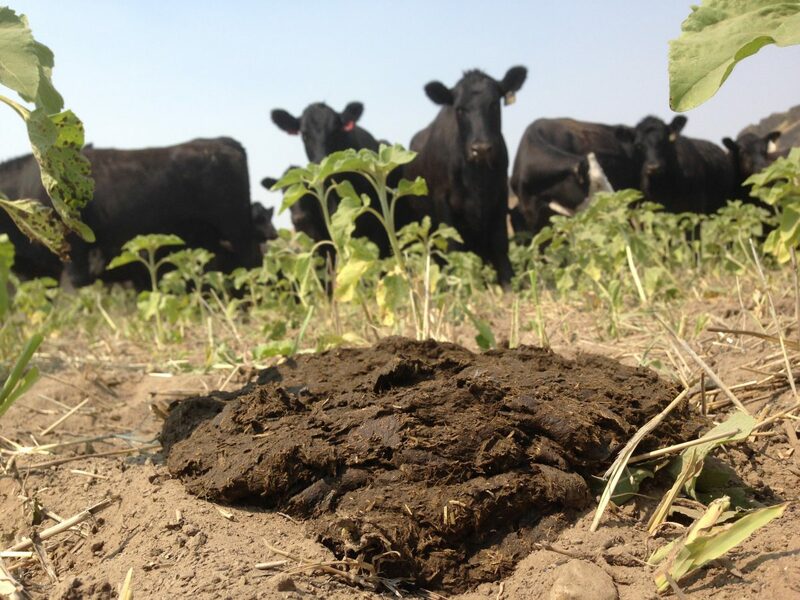 One of the biochar projects is in San Juan County and the other is in Mason County. Below are the summaries of each project. 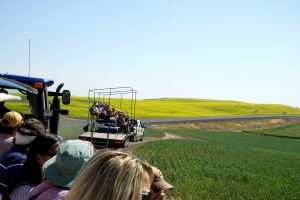 The San Juan Conservation District also starts a new three-year project to introduce no till-direct seed practices to the county, including use of cover crops to improve soil health and limit use of chemicals. 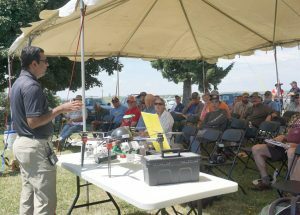 The goal is to fill the knowledge gaps on the effects of biochar in the Mason County region. The project will involve measuring the effects of biochar on the balance of pH, the retention of nutrients, the amount of soil microorganisms in local soil types, and crop yield. 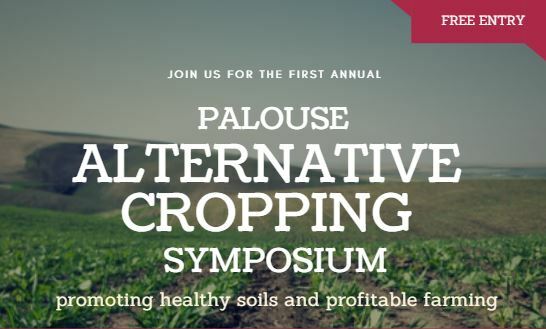 One of the 2017 Washington State Soil Health Committee grant recipients presented at the Pacific Northwest Direct Seed Association’s 2018 Cropping Systems Conference Program in Kennewick, WA. 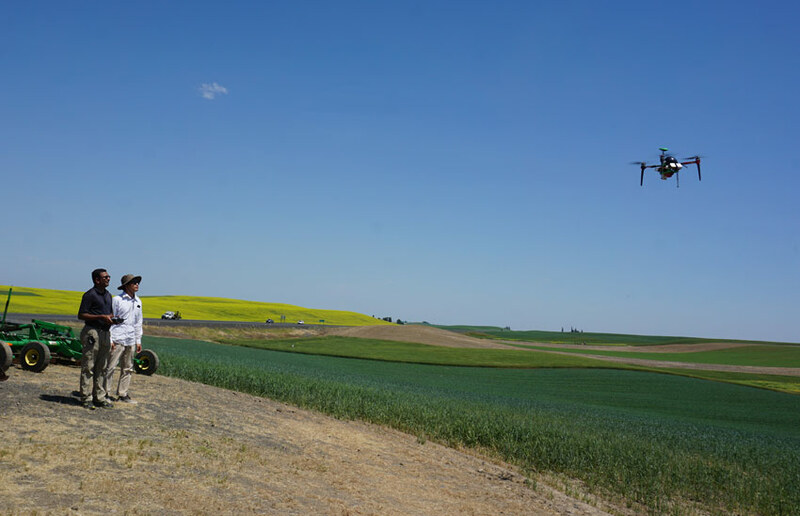 The Palouse Rock Lake Conservation District received a grant to purchase four, 48 inch AquaSpy Soil Probes. Additionally, they purchased a two-year subscription for a cloud storage service. The probes will upload data every 15 minutes via a solar powered on-site apparatus. 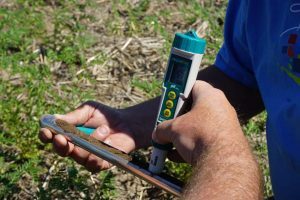 The purpose of the grant was to document measured changes in soil moisture, temperature and conductivity every four inches to a soil depth of 48 inches. This will be during a fallow season and after wheat winter was planted in the follow in the fall. The equipment will document changes through the harvest of 2018. This interesting article mentions one of the soil stars, the Tardigrade, which has survived space travel. In fact, 68% Tardigrade came back to Earth alive after being launched into space without spacesuits! 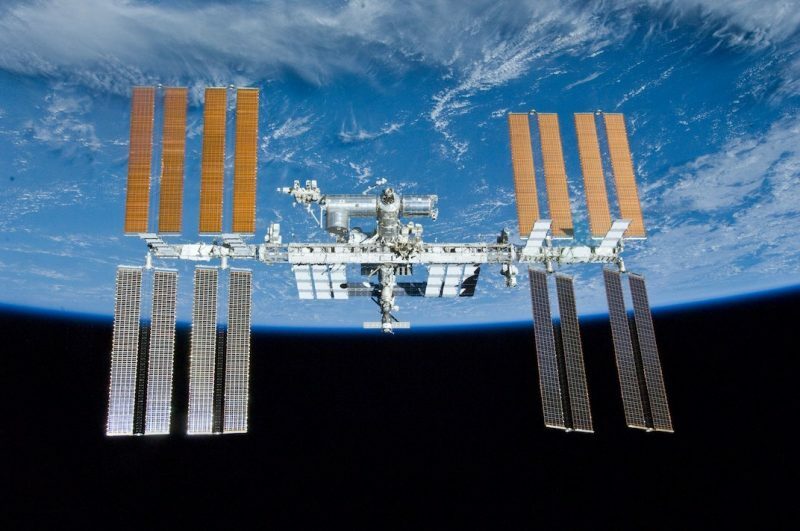 Read the full article from EarthSky here. 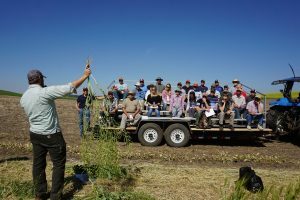 It was so exciting to see such a nice turnout for the “Everything Soil” workshop at the Wilke WSU Research Farm this June. 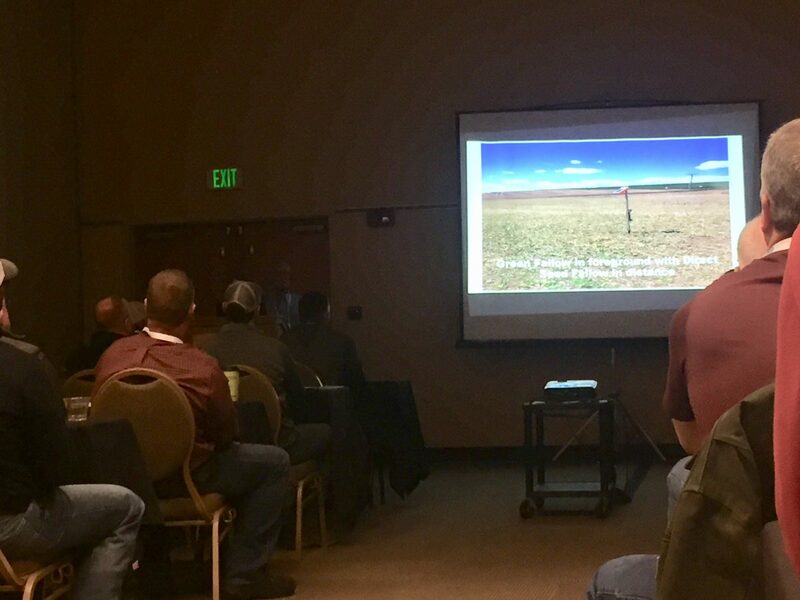 Attendees and speakers from several different WSU programs explored issues surrounding micronutrients, pH, legumes and even satellite imagery for soil assessment. 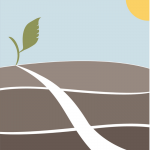 The race is on during the National Decade of Soil. The states are racing to find better ways to measure soil health. As the new soil health tests are published by federal, state, and local resource managers, we will share them here.